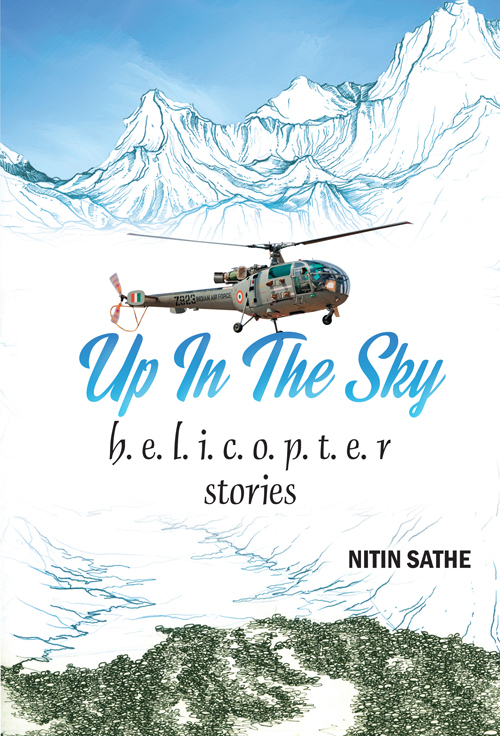 Fasten your seatbelts and get ready for a ride of a lifetime with Air Commodore Nitin Sathe as he takes you on a wondrous journey spanning 34 years. You can travel to the most amazing and impossible places hidden from all but the most daring adventurers. From the shrines that adorn the distant mountains to the peaks spoken of in mythology to border outposts where there is no one but the valiant soldier, the adventure never stops. One day, you could be flying a wounded soldier, the next rescue a child from the flooding waters or perhaps carry letters to loved ones in far-flung areas. Relive the life-changing experiences of a helicopter pilot in this fascinating collection of 19 short sweet delightful intriguing stories that is sure to touch your heart. Nitin Sathe, an Air Commodore in the Indian Air Force, has been a helicopter pilot for 34 years. This is his third book. A Few Good Men and The Angry Sea (2014) chronicled the IAF's mission to rebuild the Car Nicobar air base after the 2004 tsunami. Born To Fly (2016), the uplifting story of how a fighter pilot became an inspiration to thousands of young Indians despite being paralysed below the neck, won the Award for Best Non Fiction at the 2017 Valley of Words litfest in Dehradun. The author currently lives in Wellington in the picturesque Nilgiris, where he is posted as Senior Air Instructor at the prestigious Defence Services Staff College.